TWO PART, LIQUID EPOXY COATING, 100% SOLIDS. 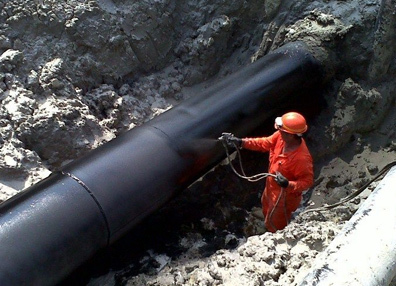 A cutting-edge thermosetting epoxy monolithic cement corrosion-protection agent for steel pipes and existing oil structures that are subject to attack by a variety of acids, corrosive vapors, aggressive environments, microorganisms, thermal shock, salinity, humidity, and wear, caused by friction or abrasion. 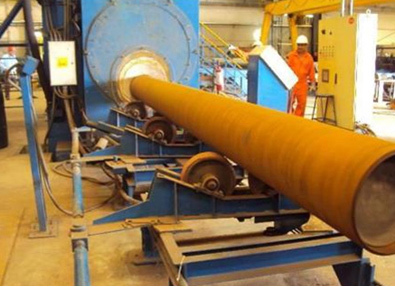 To interior and exterior surfaces of pipes in our automated plant located in Veracruz, Mexico. To new or recovered pipelines on-site with our certified automated mobile plant. 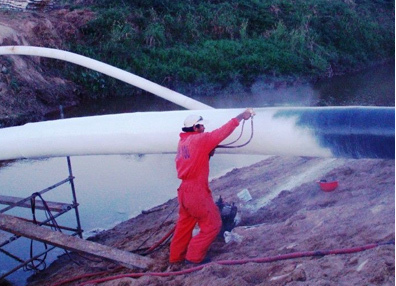 Manually or by aspersion-based method on-site to pipelines and operational structures and/or facilities. Our proprietary formula is complemented with aliphatic polyamide resins, reinforced with quartz and zirconium powders, intercalating inert plastic charges and prepared in two components for its manual application. To apply RAM-100 by aspersion method, our formula is modified with DQP-100 [Diepoxy Rheologic Modifier]. 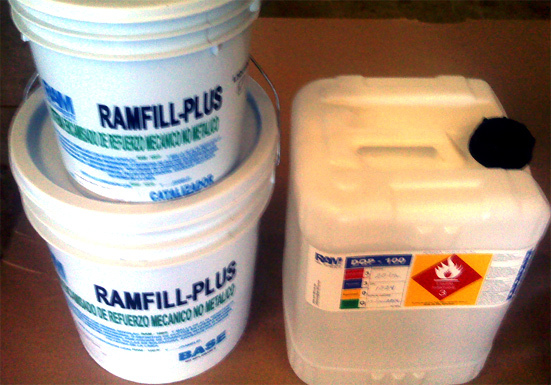 The resulting product is RAM-100 SP Plus with the appropriate characteristics to be applied on-site by aspersion with high-pressure guns. It is ideal for setting or joining anti-acid and wall protection slabs, neutralization basins, drains, trenches, doorposts, and concrete pipes. 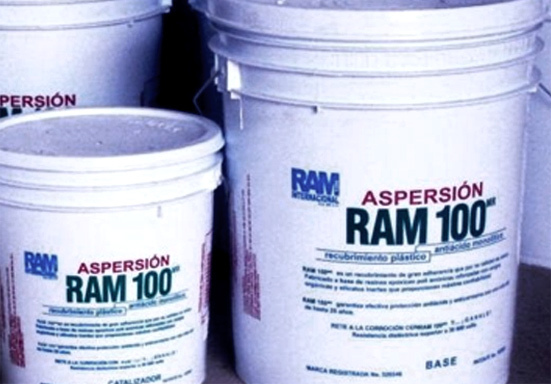 RAM-100® products are developed and manufactured exclusively by RAM-100 del Sureste, S.A. de C.V. using a patented formula under Patent number 182885 and Trademark number 526546.